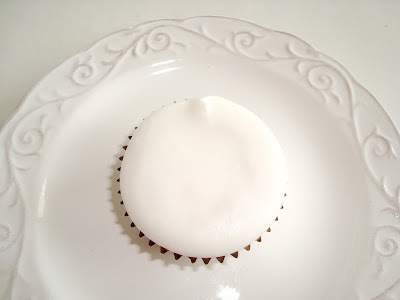 I found myself contemplating which design I would create on my Nutella-Filled Brown Sugar Pound Cupcakes. 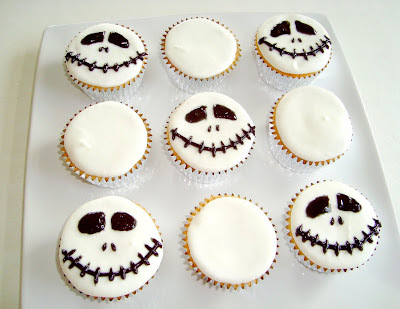 Since fall has officially begun, I guess it’s ok to start with Halloween-themed cupcakes now. I usually prefer a slice of cake over a cupcake, but Halloween makes it so fun to bake them. 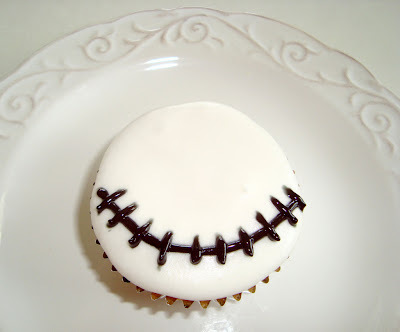 There are endless cool & spooky designs to decorate cupcakes with. 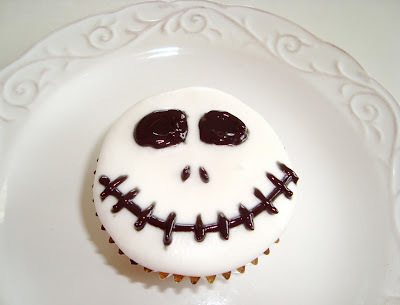 Jack Skellington is one of my favorite Halloween characters so I braved to put his face on a cupcake. The end result turned out to be kinda cool, though I didn’t have enough black frosting to decorate all 12 cupcakes. Since I don’t use butter in white frosting (else it will turn out yellow), it will never be as tasty as real buttercream icing, but the cupcakes & nutella tasted rather nice. Rating: 4 out of 5. 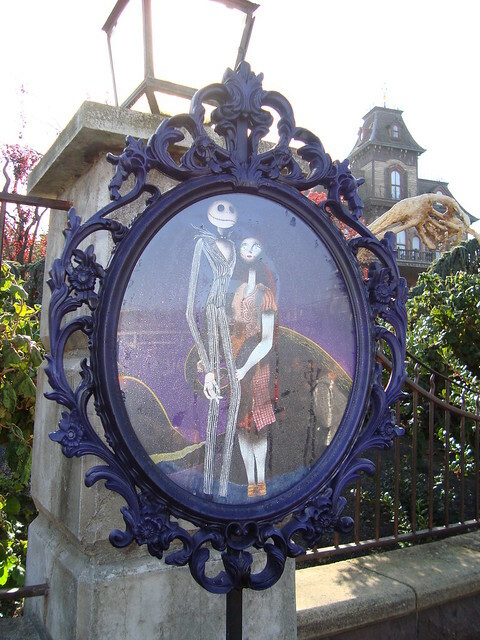 Jack Skellington & Sally at Disneyland Paris. - Preheat the oven to 325°F/170°C. - In a separate bowl, sift together the flour, baking powder and salt. Add half of the flour mixture and half of the buttermilk to the butter/sugar/eggs, mix until well blended. Add remaining flour and buttermilk, mix until well blended. 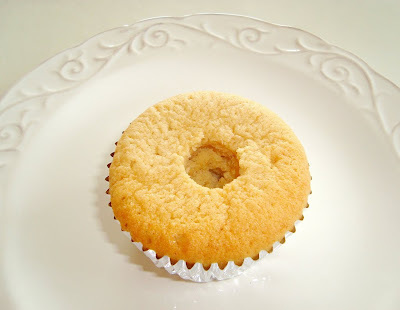 - Fill the cupcake liners ¾ full and bake for 20 to 25 minutes. Cool completely on a wire rack. 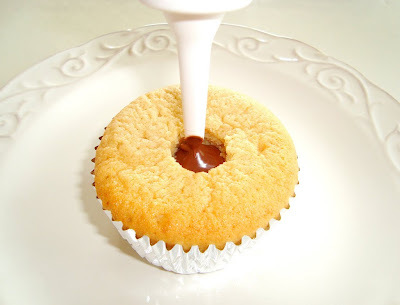 Once cooled, fill the cupcakes with Nutella, using a pastry bag with a 1mm tip. - Add shortening, milk and salt and mix until combined. Then, add the light corn syrup and vanilla, and mix until well blended. 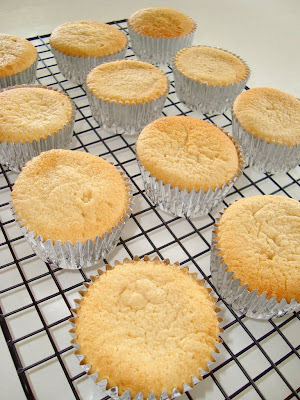 Brown sugar pound cupcakes, cooling. 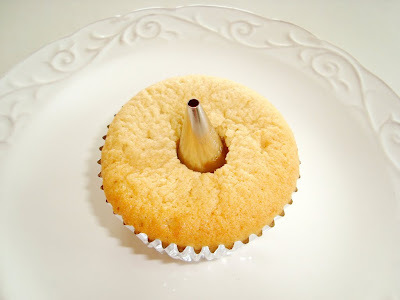 I used the back of a pastry-tip to cut out little pieces in the cupcakes. 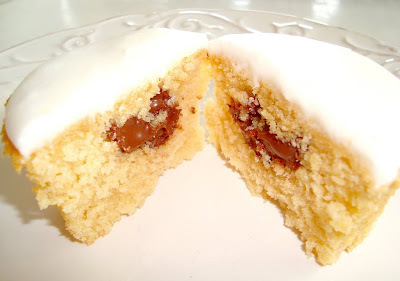 After filling them up with Nutella, I put the piece of cake back into the hole, to seal in the Nutella. The inside of a Nutella-filled brown sugar pound cupcake. The reason why I filled these cupcakes up with Nutella is that I particularly love the combination of brown sugar and chocolate. Five Jack Skellington's smiling up at me! I think Tim Burton would be proud. These are so cute! I love Jack Skellington. Halloween can never come too early! I love how you decorated these! You should enter Cupcake Hero this month http://iheartcuppycakes.com/2009/09/24/cupcake-herooctober/ You do have to use pumpkin somewhere in the cupcake to qualify though. My kids will go NUTS over these! @ Xiaolu: Maybe I will enter, once I find me a can of pumpkin puree! They are sold out at the grocery store and I've been meaning to try out those pumpkin pancakes you have on your blog! Awesome job - they look absolutely perfect and I'm sure they taste fantastic. these look great! 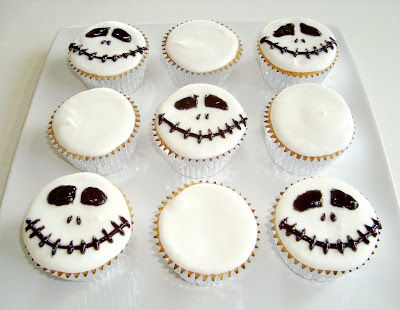 i think i'll make them for our halloween themed recipe swap this week. did you use black gel icing fir the detail or did you tint some of your own? Yes I used black gel icing! I suppose you can use your own but I don't have any black food coloring. 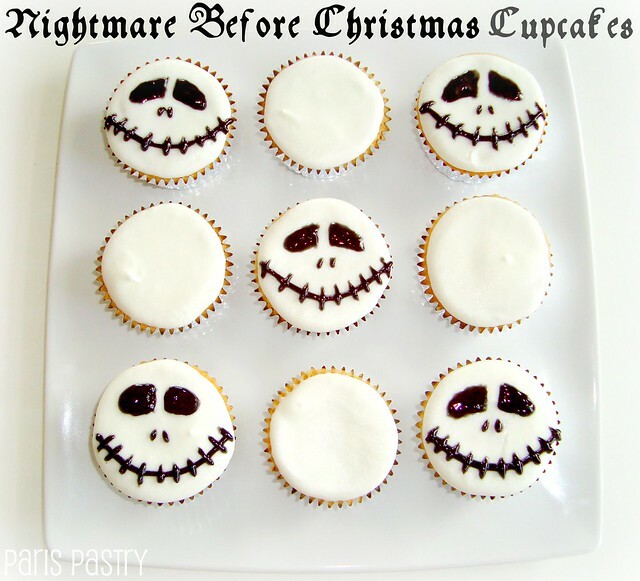 Tim Burton would be proud because these look awesome. Great! Let me know how they came out! I also like your technique to fill the cupcakes, too. 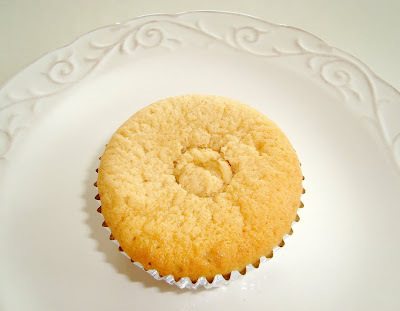 I haven't settled yet on one that I really like but for the most part we do filled cupcakes so it's always fun to pick up new techniques. I'll give this one a shot!